Vivienne Westwood Man London Classic, Oxford 2 button collar Krall Shirt in black cotton. 9 button fastening including buttons at collar. Slightly rounded collar, button-down style. 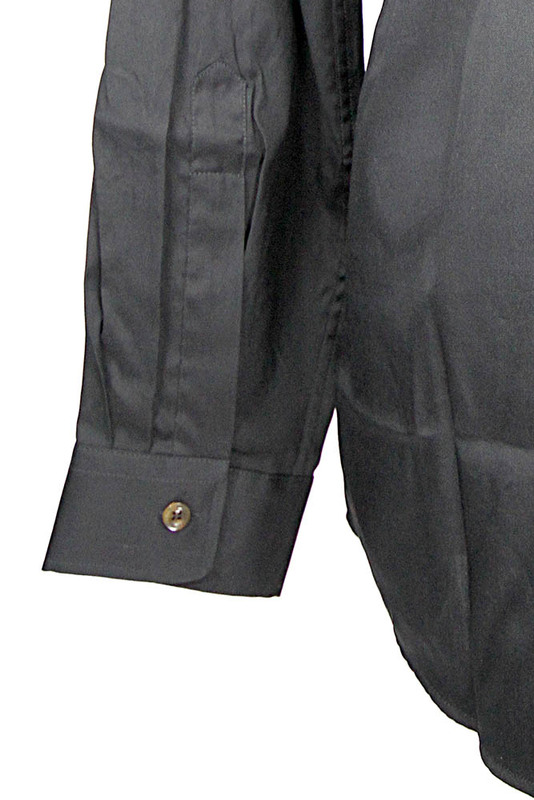 Single button cuffs. Embroidered orb on left chest.